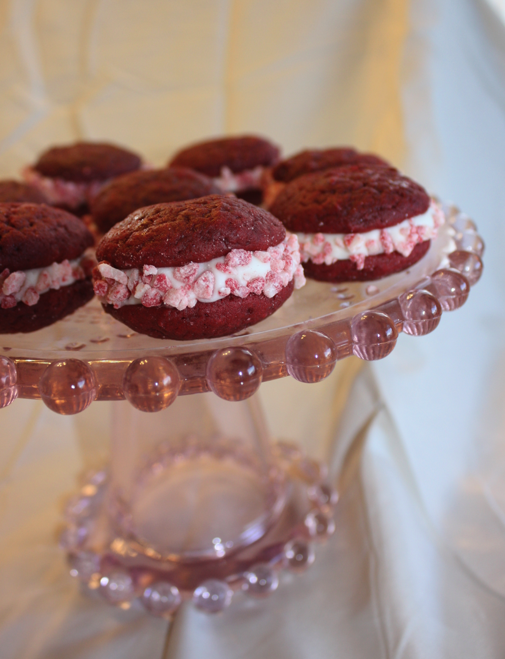 Red Velvet Elvis Whoopies are moist mini “cakes” with peppermint, cream cheese filling and adorned with soft mint pieces. Approx. 2 inches in diameter. It’s impossible to eat just one!